Luxury cheap wedding invitation. 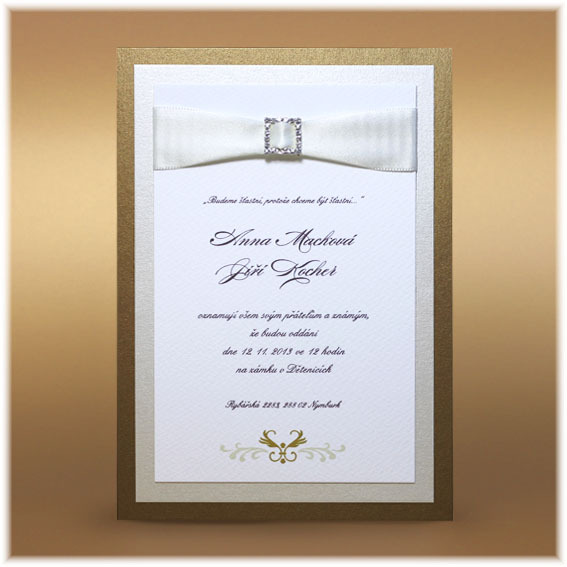 Design of the invitation is made of 3 graphic papers - golden brown, light golden and white structured. Ribbon is creamy.